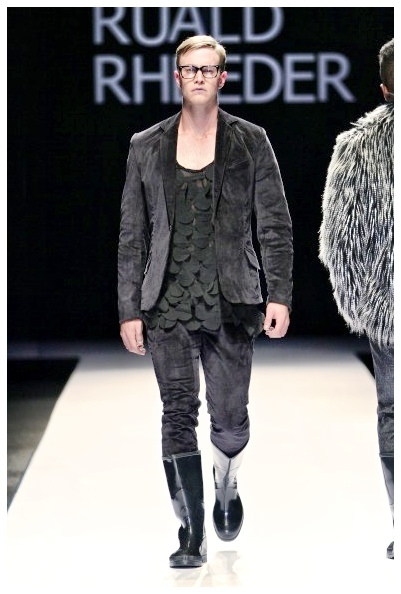 Ruald Rheeder was the second show I attended at Mercedes-Benz Johannesburg Fashion Week 2013. 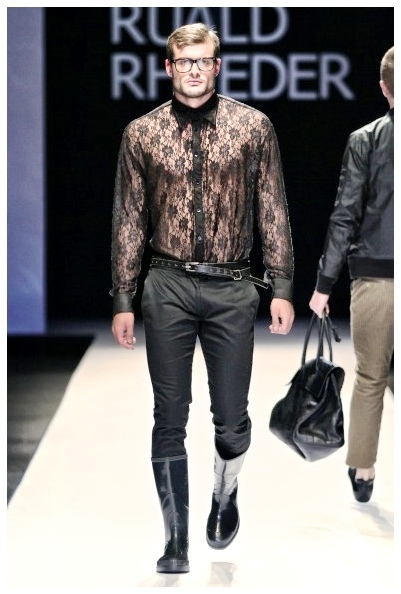 His collection was both edgy and sophisticated. 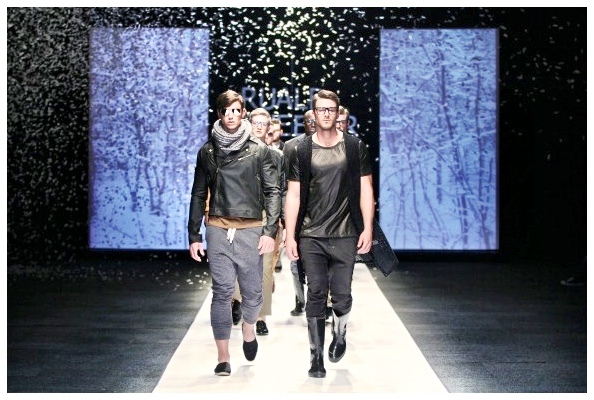 He followed the autumn/winter theme throughout his show. His collection anticipates the winter season that lies ahead. 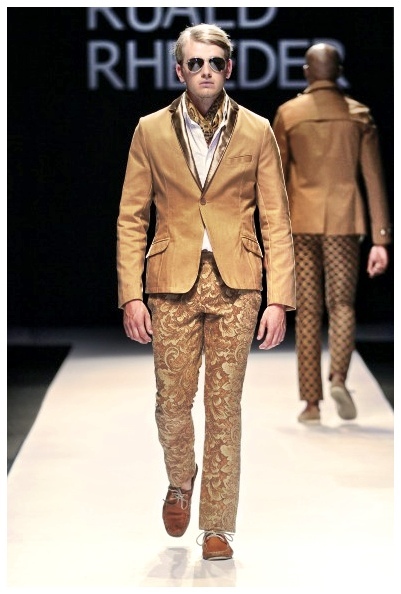 There were several highly desirable pieces in his collection, but overall I liked all of his looks! 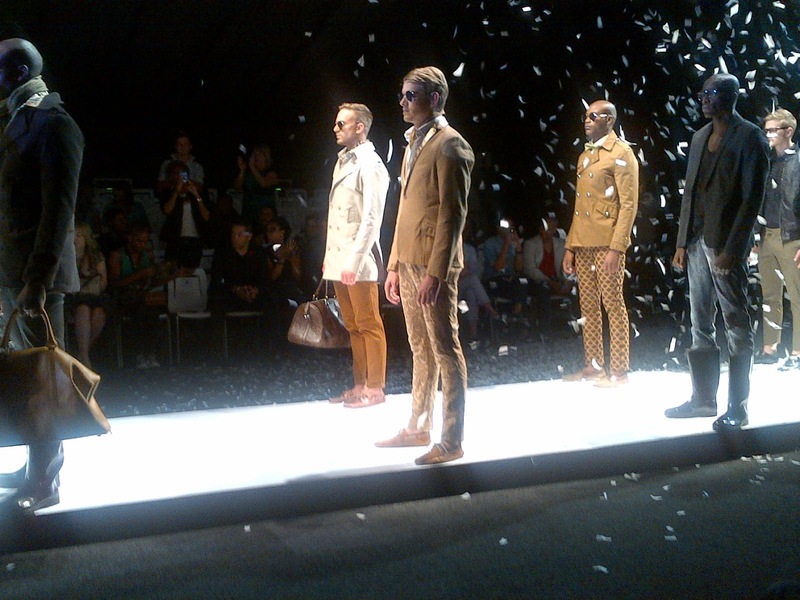 His collection included suits, fitted blazers, sleek jackets, tailored trousers and must-have coats. Everyone in the audience whipped out their phones when the model came down the runway wearing a fur coat! 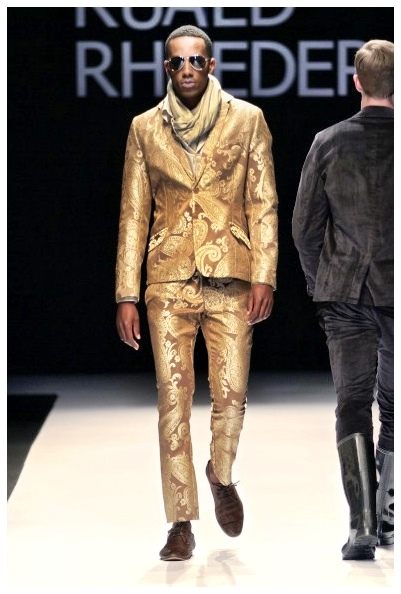 My favourite piece from the collection was the gold suit. 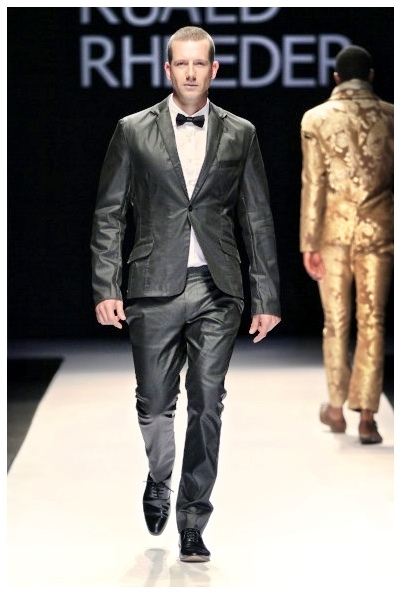 Ruald used a sophistaced palette of black, grey, brown and gold. 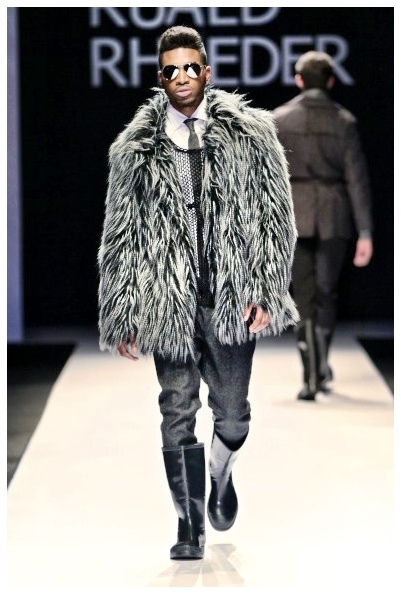 I loved how he used the fabrics (velvet, suede, faux fur, silk, wool, leather & lace) and prints in his collection. 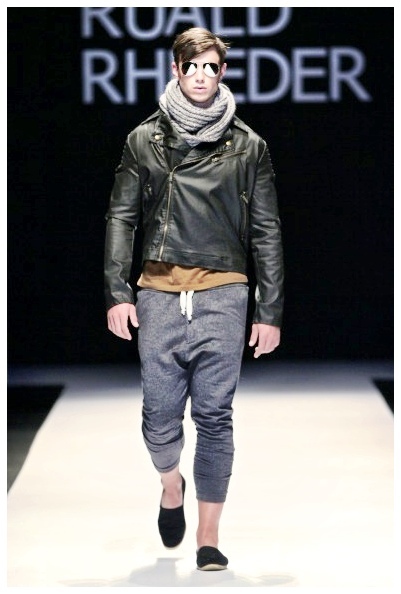 Ruald Rheeder's collection is well-executed and takes most recent fashion trends into account. 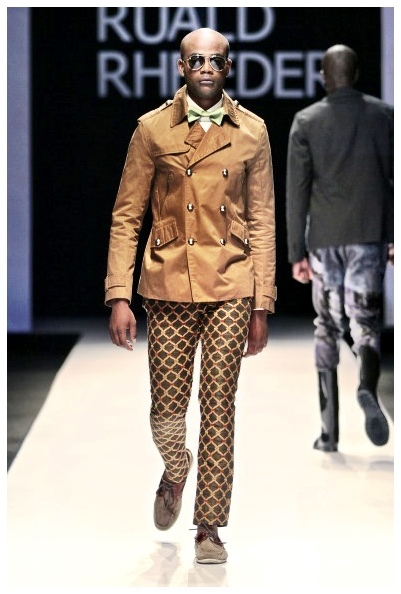 He is definitely taking men’s fashion to another level in South Africa. 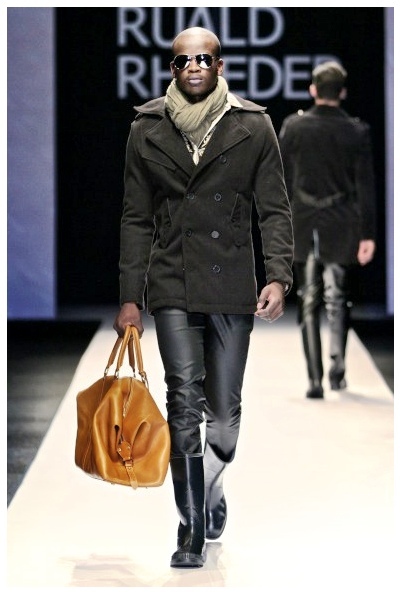 Visit www.rualdrheeder.co.za for more pictures from his autumn/winter collection!